Last week’s PBA Tournament of Champions did not disappoint and if we can capture even a small amount of the magic created in Fairlawn, Ohio, this week in Columbus, Ohio, at the PBA Players Championship it should be an interesting week. Defending champion Tom Smallwood is back, and Jason Belmonte will look to own the all-time major title record outright this week at Wayne Webb’s Columbus Bowl. 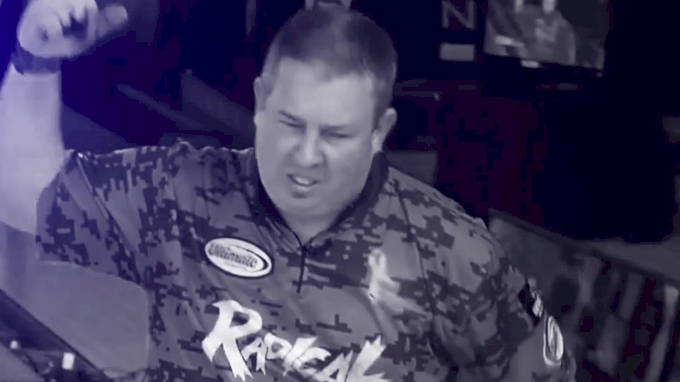 Last year, Smallwood, one of the most underrated players on the PBA Tour, climbed the ladder to win the Players Championship. Along the way, he picked up two one-pin victories. After topping Patrick Girard, Kris Prather and Marshall Kent, Smallwood faced off against Belmonte and slayed the giant, 259-239, in the title match. While Smallwood’s feat was amazing and allowed him to earn his second career major title and third title overall, Belmonte’s performance last year should not go unnoticed. The two-hander from Australia dominated qualifying leading up to the finals. He led every single round (there were six rounds of qualifying last year to determine the stepladder finalists) and ended up with a nearly 300-pin lead on the field, averaging nearly 245 per game. Also, keep in mind, Belmonte won the 2017 Players Championship at the exact same bowling center, earning the top seed for the finals and defeating Anthony Simonsen, 221-204, for the win. So, it’s not too far-fetched to say that there’s a decent likelihood we see Belmonte on the show again this week with a shot at winning his 11th career major title, which would put him past Earl Anthony and Pete Weber and alone in the top spot. A more open entry criteria at the Players Championship means the field is nearly double the size it was last week at the Tournament of Champions. There are 120 players this week versus 65 last week. Just about every player who competed last week is making the short two-hour drive south to Columbus to participate again this week along with a host of non-champions also in the field. You’ll see the return of some younger guys like Kamron Doyle, Mitch Hupe and Greg Young, while also welcoming back some international players like Martin Larsen and Pontus Andersson. After making two shows already this year, both in Oklahoma, Girard is also back in the field this week and will look to make the Players Championship show for the second consecutive year. If you enjoyed the qualifying and match play format of the Tournament of Champions last week, you’re going to love this week’s format at the Players Championship. That’s because it’s exactly the same. All players will bowl three six-game rounds of qualifying, the first of which gets underway at 10 a.m. Eastern on Wednesday. After 18 games, the field is cut to the top 24 players who advance to round robin match play. The first of three eight-game blocks of match play begins at 6 p.m. Eastern on Thursday, and we will know the five finalists for the show after the third round Friday, wrapping up about 9:30 p.m. Eastern. As for the lane condition, the players will face the PBA Dragon pattern this week. The pattern is 45 feet long and has a ratio of 1.92:1. Rumor has it the scoring pace has the potential to be extremely high, but we will wait and see. The live action on FloBowling gets underway Wednesday at 10 a.m. Eastern with the opening round of qualifying and continues through match play Friday. FloBowling subscribers will be able to watch the FloZone channel with commentary or select a specific pair to watch their favorite players. The stepladder finals of the Players Championship will be broadcast Sunday live on FS1 at 1 p.m. Eastern for audiences in the United States. International viewers can watch live on FloBowling. An archive of the show will be available on FloBowling seven days after it airs live.